Japanese beverage giant Suntory is acquiring Beam, which makes Jim Beam and Maker’s Mark bourbons, among other spirits, for $16 billion. The two companies control nearly 10% of the global whiskey market, according to International Wine and Spirit Research. Combined, they will obviously be going after a larger share. 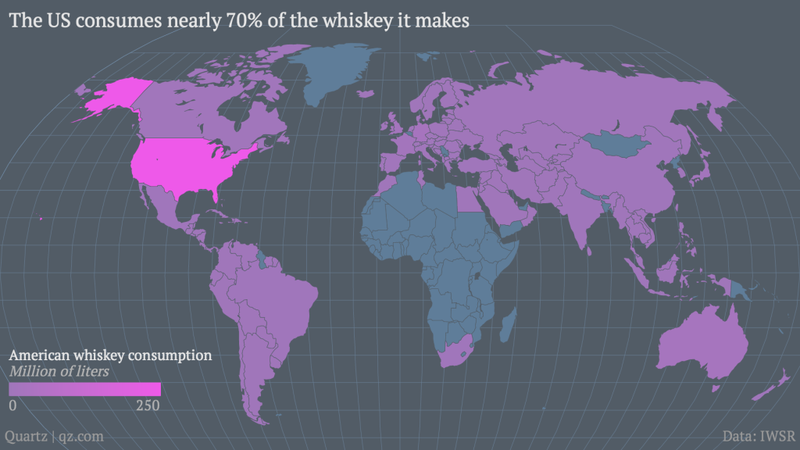 A quick gander at global whiskey consumption helps show where the promise lies. India is far and away the world’s biggest guzzler, owing in part to its large population. 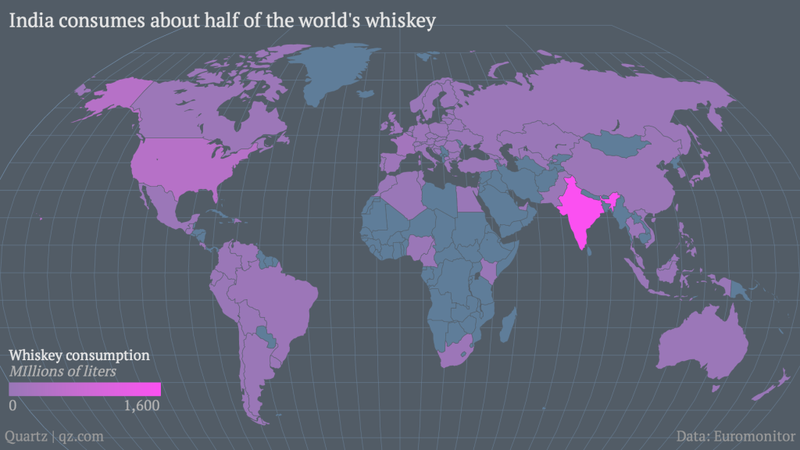 Roughly half of the world’s whiskey is drunk by the sub-continent, according to Euromonitor. Most of it is made by UB India, the world’s largest whiskey company by volume. 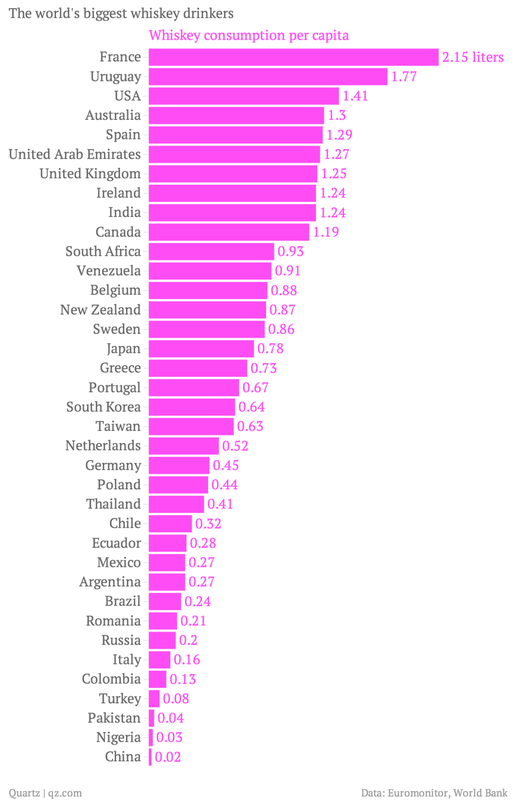 But when those numbers are broken down per capita, India falls well outside of the picture. 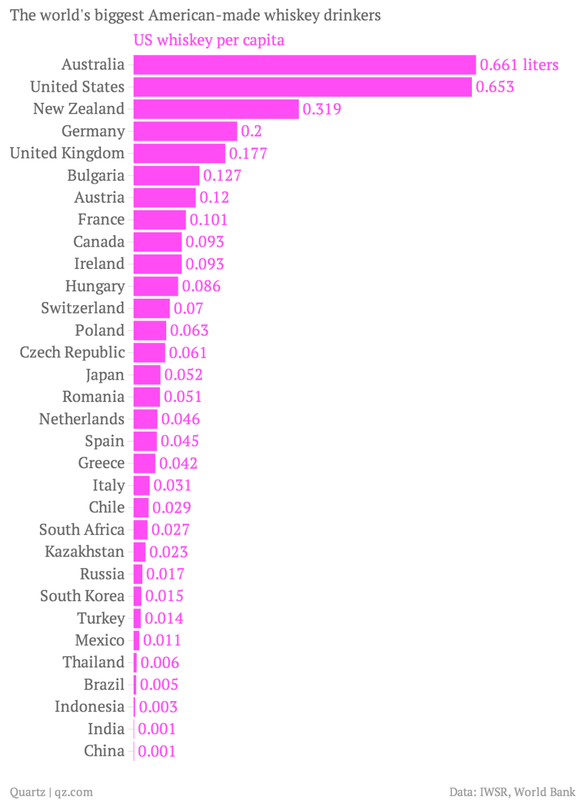 France, Uruguay, and the United States soar to the top. Beam, based in Deerfield, Illinois, is responsible for over 40% of US bourbon sales by volume, and bourbon accounts for roughly half of the overall US whiskey market.Outside the country, Germany, Australia, and the UK are big consumers of US whiskey.